Prof. Dr. Kristel Michielsen received her PhD from the University of Groningen, (the Netherlands) for work on the simulation of strongly correlated electron systems in 1993. 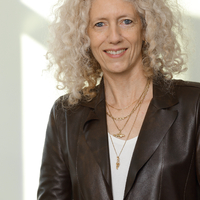 Since 2009 she is group leader of the research group Quantum Information Processing at the Jülich Supercomputing Centre, Forschungszentrum Jülich (Germany) and is also Professor of Quantum Information Processing at RWTH Aachen University (Germany). Her current research interests include quantum computation, quantum annealing, quantum statistical physics, event-based simulation methods of quantum phenomena, logical inference approach to quantum mechanics and computational electrodynamics.